We had a midday flight returning from Berlin, and I wasn’t ready to be done sight-seeing, so I decided that going for a little run would be a perfect way to take in a bit more of the city. 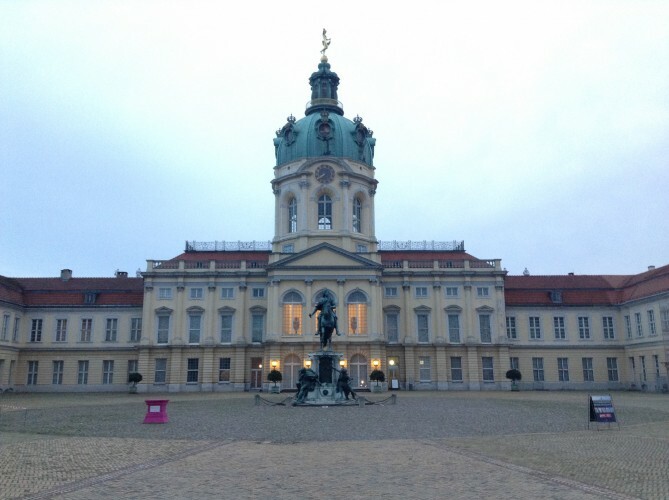 The plan was to take the train to the 1936 Olympic Stadium and run back to the hotel via the Tiergarten (where I had run a couple days earlier). Turns out, I got a bit turned around getting there and a whole lot lost getting back. I made wrong turns from the moment I got off the train. I left the hotel at 6AM, and it was still dark when I got off the U2 train at the Theodor-Heuss-Platz station. 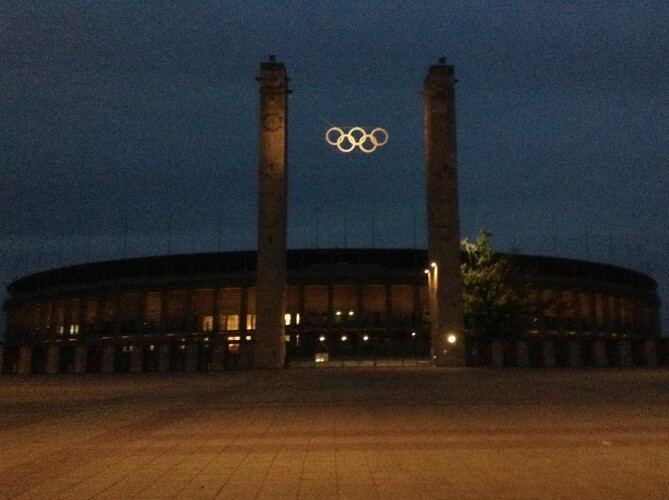 At that time of the morning, my train stopped a couple of stops short of the Olympiastadion station, so I decided to run the mile to the stadium instead of transferring to another train. All I had to do was follow Reichstraße (a major road) to the stadium. 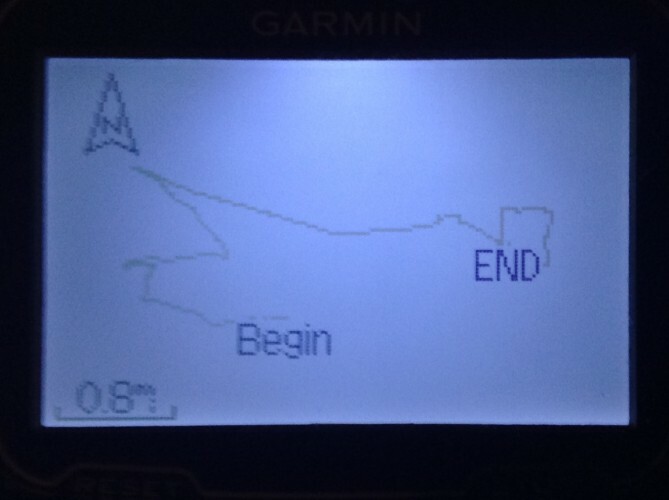 Unfortunately, there were four main roads, and I picked the wrong one. A sign for motorists suggested I was going the right way, though. About a half-mile in, I asked a man walking his dog for directions. (Pro-tip: Older people in Berlin are much friendlier about giving directions than younger people.) 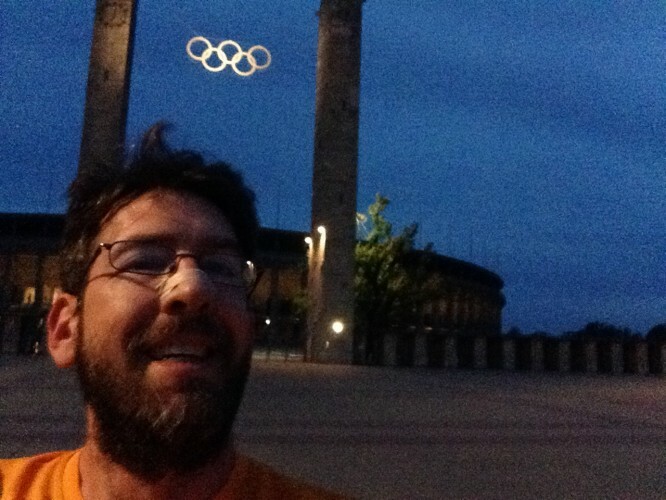 A mile later, after running through a rather posh neighborhood, I was taking a selfie at the stadium. All I had to do to get back was (1) run down Olympischestraße away from the stadium, (2) turn right on Reichstraße, and (3) bear slightly left where I got lost getting off the train. Something about the Reichstraße intersection threw me off, and I ended up curving to the left. I knew I had made a wrong turn when the street names didn’t match any on the cue sheet I’d written on the hotel stationary and stuffed in my pocket along with my pump, glucose tablets, U-bahn ticket, and a few Euros. When I turned around and ran back, I was on the opposite side of the road and missed the turn onto Reichstraße. Four miles later I still wasn’t where I thought, and no one knew the main roads I was referring to when I asked for directions. It was around that time when I discovered the bus stops all had maps showing me how to get back onto my original route. By then I had run out of time to do the extra three or four miles back to the hotel. I didn’t want to miss my flight home or worry Lisa, so I decided to find the subway and (alas) subject some commuters to my smelly self. On the train back I tried to look on the bright side: I got to experience some Berlin neighborhoods, see the Olympiastadion and Charlottenburg Palace, watch the city come awake, and talk to some locals all before 8AM. What’s your best “lost in a foreign city” story? This entry was posted in Running, Über Alles. Bookmark the permalink.